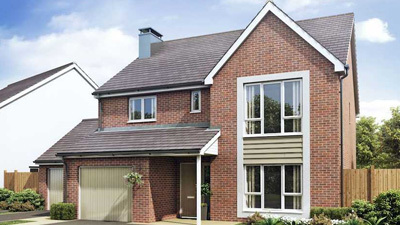 Browse the latest new homes by St Modwen Homes nationwide. The company is known for designing homes with large windows and ceilings that are higher than average to give each home as much natural light as possible, as well as including top quality fixtures and in-built storage. It works closely with architects to ensure that each home is built with the future owner in mind, including spacious rooms and designer kitchens. Over the years, the company has won several awards, including Gold at the WhatHouse? Awards 2016 in the Best Starter Home Scheme, and took home Silver in the same category in 2017 for its Locking Parklands development. In 2017, it achieved the five-star rating in the Home Builders Federation’s annual customer service survey. To help buyers purchase a home, the housebuilder offers several incentives, such as Help to Buy, Part Exchange and Assisted Move, as well as other incentives on selected developments, including Stamp Duty, legal fees and moving costs paid, and sometimes it will include fitted carpets free of charge. St Modwen Homes has headquarters in Birmingham and regional offices to oversee its building of new homes across the country. The company is part of St Modwen Properties plc, which also works in the education, retail and commercial sectors. Choose a St Modwen Homes development in this area.